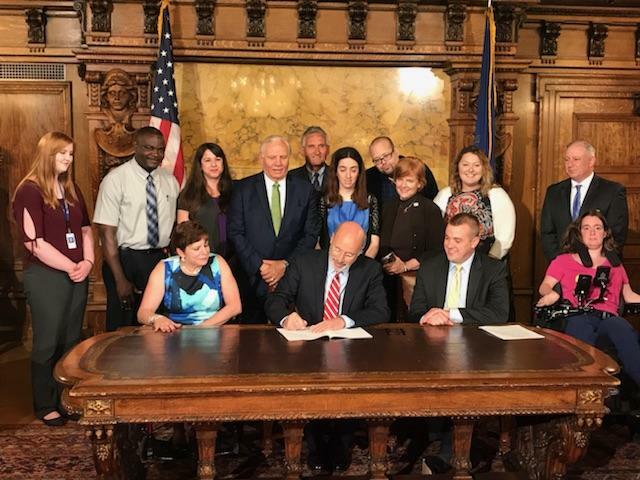 Harrisburg – Legislation championed by Sen. Bob Mensch (R-24) to promote the employment of people with disabilities at competitive wages in Pennsylvania received final legislative approval and was signed into law. House Bill 1641 is a companion to Senate Bill 21, the “Employment First Act,” sponsored by Senator Mensch. It calls for state agencies to employ individuals with disabilities in at least seven percent of the overall state workforce. The legislation does not require state agencies to give preference in hiring to people with disabilities. 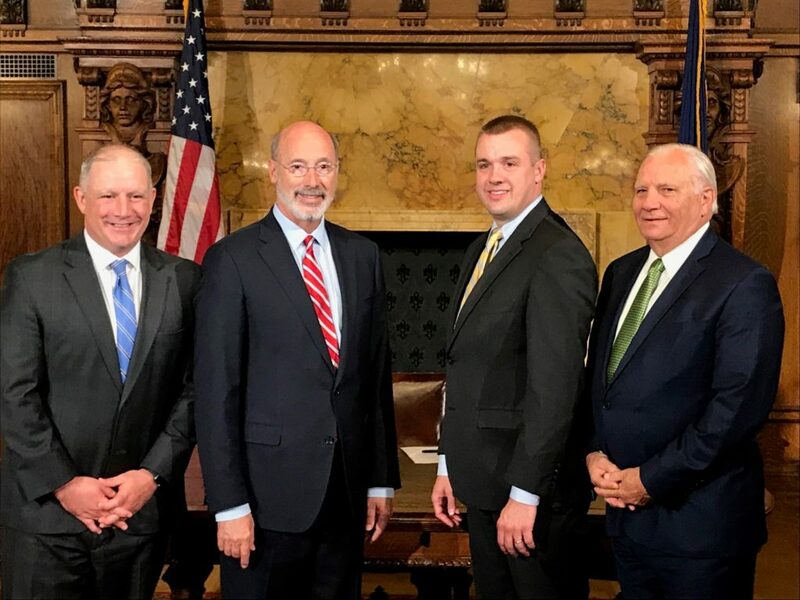 An oversight commission, with people who have disabilities making up more than half of its members, will set measurable goals for improving the percentage of workers with disabilities in Pennsylvania. It will also issue an annual progress report. The bill will not require additional state funding. Instead, Commonwealth agencies will be required to shift priorities within existing budgets. For more information on Senator Mensch’s legislation, visit www.senatormensch.com. State updates can also be found on Senator Mensch’s Facebook at www.facebook.com/senatormensch, or Twitter @SenatorMensch.